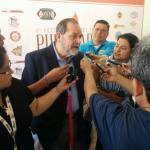 Joya’s CEO & Chariman was interviewed by one of the most important local newspapers about the 4th Nicaraguan Cigar Festival, the industry’s status and how Cuba’s opening to the US might affect it. 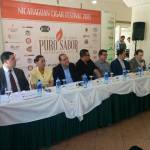 The agribusiness industry of nicaraguan tobacco prepares itself for the 4th International Cigar Festival Puro Sabor Nicaragua 2015, which will develop during three days. 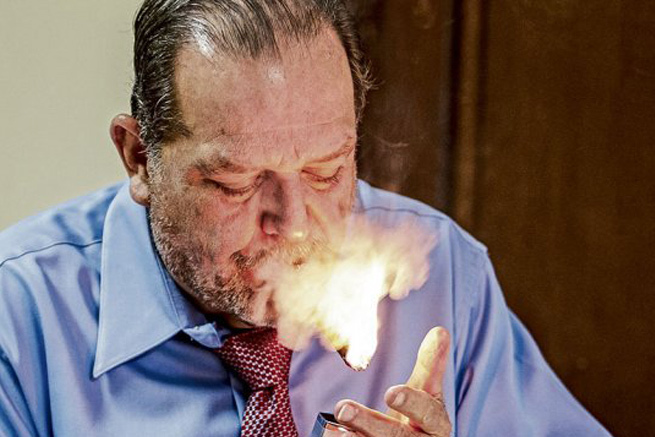 Alejando Martínez Cuenca, Executive of the Nicaraguan Tobacco Association (ANT), and Chairman & CEO of the cigar manufacturing company Joya de Nicaragua, offers details on the this industry, which grew 6% this year, and the festival, on this interview given to El Nuevo Diario. 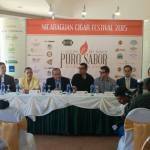 What is expected of the Nicaraguan Cigar Festival Puro Sabor? This year’s festival will be the fourth we put together in Nicaragua, starting with the buzz and worldwide attention the nicaraguan industry is causing. We will have visitors from around 10 countries. It is a great opportunity to show the skills nicaraguan workers have been developing in terms of Premium cigars manufacturing. Nicaragua is at the top when it comes to tobacco origin with the best reputation at this time. We want to capitalize on this big opportunity which has helped reach more than $200 million in exports – after coming from figures around $40 million and $50 million, some eight years ago – to highlight before international clients how our tobacco’s quality has been increasing, to the point where international publications have pointed it out as unbeatable. What are the activities which will take place during this event? This year the festival will start January 14th, with a public activity to which all nicaraguans are invited. We have called it “Puro humo” and it will take place starting at 7pm at the Crowne Plaza Hotel in Managua. All the international guests will also be there. 15 companies will be there representing the industry. The following day, all the delegations will travel to Estelí, where they will visit different factories. For example, Joya de Nicaragua has a planned visit at 11am. The next day, there will be visits to the tobacco plantations, and at night, there will be a closing event, also in Estelí. How many international aficionados are coming? The list is approximately of 150 participants. There are representatives of cigar distributors, manufacturers, packaging providers and more. it is a very diverse group. What are the concrete results of the festival after these years? It is hard to measure the effects and say if Nicaragua would have grown its sales or not, the way it has been growing, if it wasn’t for the festival. But it is an opportunity to make first hand contact with the clients. For example, I will receive a special delegation from Spain. There will also be clients coming from the US, Canada, Russia, Saudi Arabia and everywhere in the world. Most of the people which will come are already familiar with nicaraguan cigars, but they come to learn more on the factories and our tobaccos. So, what would have happened if there was no festival? We probably would be selling the same more than $200 million. But the personal contact, the opportunity to come to our country and get to know the spirit of Nicaragua, is very special. Going to any of our factories in Estelí is by itself a great experience. So they come to enjoy that. How many companies conform the tobacco industry in Nicaragua? Currently, formal and informal, we account around 41 companies. 15 of which are formal. What are the expectations on job generation taking into account the growth of the industry? Every company grows to its own rhythm. We are satisfied, because on the case of my company, Joya de Nicaragua is growing steadily. We have comed from 100 to 300 workers. The pase we are growing at indicates us, even with all the challenges, that we could double the number of workers we currently employ in the next five years. What will be the challenges of the nicaraguan cigar industry with the re-establishment of relationships between the USA and Cuba? Once the embargo ceases, it will be a lot cheaper for cubans to transport a container full cigars, than what it will cost us. That is why I say it is a moment of great challenge for Nicaragua, in which we have to work on lowering production costs, transport and procedures to get our products to the north-american market. It won’t be easy, but we have had the support of the Government and I hope it will be the same now that the US market opens up for cuban cigars, and that authorities understand that we must improve custom clearances and minimize costs to be able to be competitive. The embargo will depend on how politics move in the US Congress and how many voices we are able to raise around the world to say “enough, this embargo can’t continue”. The american market will absorb lots of cuban cigars, which also means they will have less for sale in the rest of the world. Because of that, it is fundamental, and has been one of Joya de Nicaragua’s strategies, to diversify the market. If not that many cuban cigars make it to Spain or Germany, because they are being redirected to the United States, Nicaragua’s opportunity, with a free trade arrangement with the European Union, will be to be able to fill that void of premium cigars in the rest of the world. So, I see more opportunities than threats. What is the potential this industry has? The limiting factor is soil. We have plenty, but it is used on other types of crops. In addition, competition has made the soil prices to skyrocket. Article originally published on January 9th, 2015 by El Nuevo Diario. Written by Manuel Bejarano. Translated by Joya de Nicaragua. Press conference photos by Asociación Nicaragüense de Tabacaleros.